Please thank those who support ArtReach St. Croix through grants, sponsorships and other forms of support. Our regional work on behalf of the arts cannot be alone. It is a community-wide, region-wide and art-filled effort. 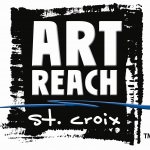 ArtReach St. Croix’s Organizational Development project in 2013 was made possible by the voters of Minnesota through a grant from the Metropolitan Regional Arts Council, thanks to a legislative appropriation from the arts and cultural heritage fund.